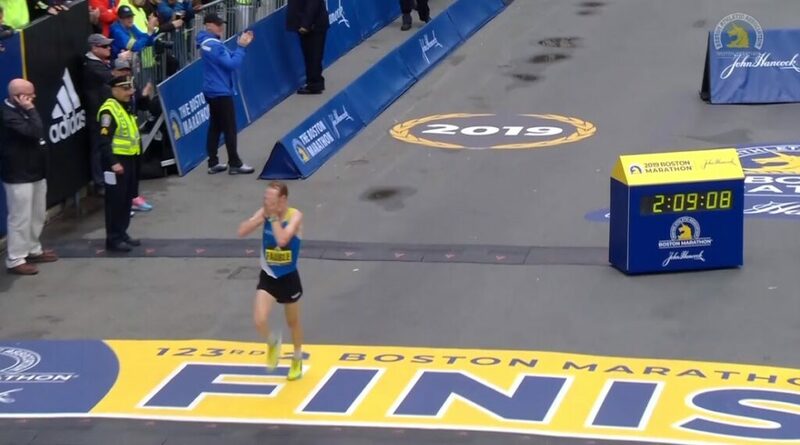 An American-born runner not named Galen Rupp hadn't broken 2:10 in more than 2,000 days but two men did it on Monday in Boston. If you are dreaming of PRing tomorrow in Boston, we've got good news for you. John Kellogg thinks that might be possible as the expected tailwind could offset the warmish temperatures. Mission Athletics Club team members Nikki Hiltz and Emily Lipari ran the exact same time (4:40.1) but Hiltz got the win. In the men's race, the Reebok Boston Track Club's Domanic won by half a second over Chris O'Hare. Want to know how to watch the 123rd Boston Marathon on tv or online on Monday? We've got you covered. Here is how you can find it on tv and online. Ben True (13:44) and Justyn Knight (13:46) were 2nd and third as Kim Conley took top American honors in the women's race in fourth (15:36). 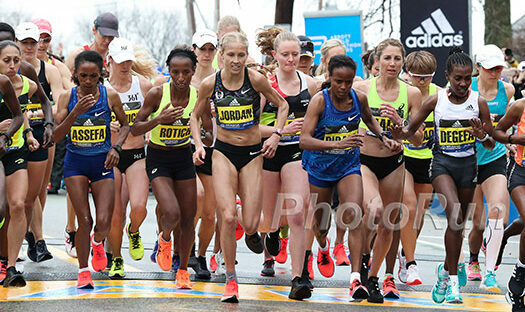 Did you know that for the first time in history Boston has banned the amateur runners from competing with the pros? When the gun goes off in Hopkinton at 10:00 a.m. on Monday, a select few "elite" men will begin their 26.2-mile journey to Boylston Street. Everyone else in the mass race will just stand there for two minutes. For the first time in 33 years, the defending Boston marathon women's champion is an American, Des Linden. That the good news. For the bad news, read the article. 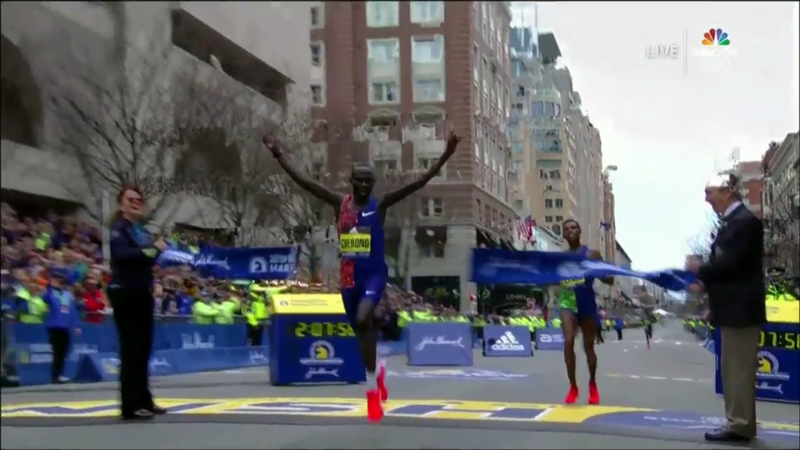 From #16 to #1, we've broken down the potential winners of the 2019 Boston Marathon into five categories: Basically No Shot (#14-16), Outside Shots (#9-13), The Wild Card (#8), Genuine Contenders (#4-7), and Three Total Studs (#3-2-1). Sorry Yuki Kawauchi fans, but he's basically got no shot of repeating. 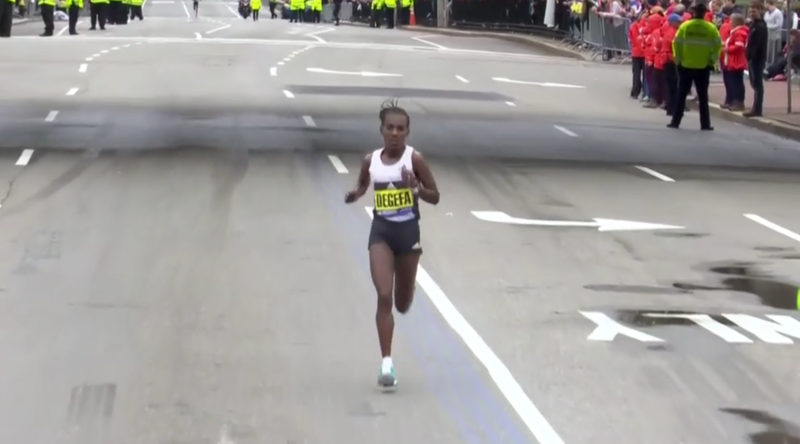 Breaking Down the 2019 Boston Marathon International Field, Plus What Does the Addition of Sally Kipyego Mean to the US Field? The Boston field is out and we help make sense of it all. Marko Cheseto ran 2:42:24 to beat the previous world best of 2:42:52 from 2010. *MB Archives: ESPN documentary on UAA runner, Marko Cheseto. 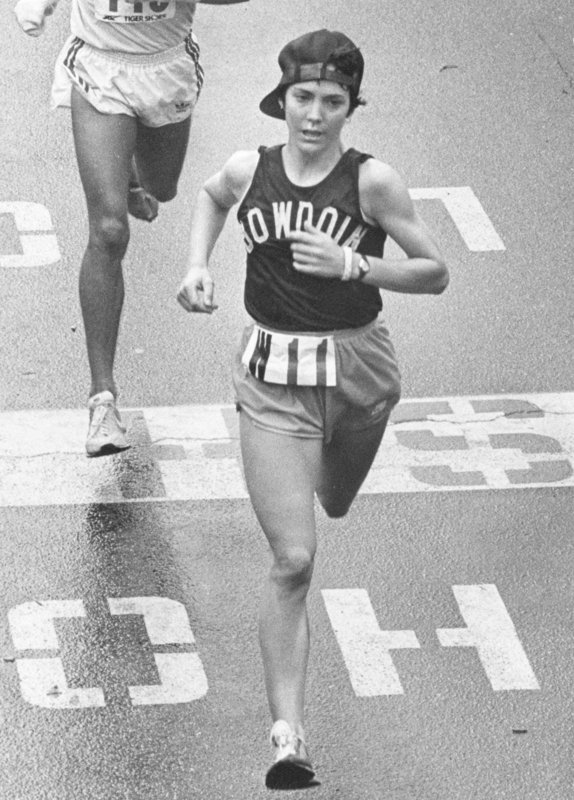 The 61-year-old wanted to run within 40-minutes of her 2:35:15 winning time from 40-years-ago, but topped that by coming in less than 30-minutes over that time. Wired's Nichola Thompson analyzes the Boston course and determines, "It’s a terrible course if you want a personal best." It's worth noting that this year's race is the first Boston run on the actual anniversary of the 2013 Boston bombing. Linden says finally winning Boston was a "huge weight off" and frees her up to "take bigger chances and be picky with races." Hasay had done a ton of extra PT work which she says has lead to her being more flexible with better form. She's not the fittest she's ever been, but feels she's as fit as she was before her first Boston (where she was 3rd in 2:23). It's supposed to be warmer than last year though, with forecasts predicting between 44 and 55 degrees. Talking about injuries Ritz said, "Oh yeah, absolutely you think about it. Every little ache and pain goes through your mind because last year about this time I thought all the training was done. I don't think that's unique to me. You get to that last taper part and just want to get to the starting line." Former Olympic gymnast gold medal Shawn Johnson East and her husband, NFL player Andrew East are running it together. Hall never thought she'd still be running professionally at 36 as her dream was "to do development work in Africa [living] in a mud hut." But she says she's enjoying it more than ever and set PBs in the full and half last year.